Fall is almost here and I'm loving the cooler temperatures. Unfortunately, the humidity still thinks it's summertime. That's true, but running conditions have improved over August's dog days. Stepping out to mid-60's temperatures provided a welcomed boost this morning. I had two good runs this weekend, even though my positive performance from Friday wasn't duplicated on either day. Yesterday I broke out of the boundaries of my neighborhood, venturing into the nearby business park and the neighborhood that connects to it. I'd targeted 5 miles and ran easy. That turned out to be a good idea because the humidity was an oppressive 88%. This morning felt cooler and a moderate breeze from the north provided a nice offset to still-present humidity. I'd considered a trail run but didn't want to deal with mountain bikers at Stillwell. I ended up staying local. The best thing about today's run was that my energy level was running a few notches above usual. 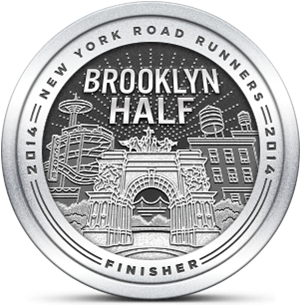 Feeling stronger prompted me to step up my pace and open my stride. It was during my run on Saturday that I noticed how my form has changed since dealing with my herniated disc. I still have slight discomfort in my left thigh, especially when I push my speed. After yesterday's run, I looked up strides and landing styles and realized for the first time that I am actually not a pronator. That label was given to me seven years ago by the salesperson at Super Runner's in Huntington after she watched me walk across the store. That resulted in my purchase of a pair of Brooks Adrenaline 9's that I loved dearly and wore for 1,000 miles. 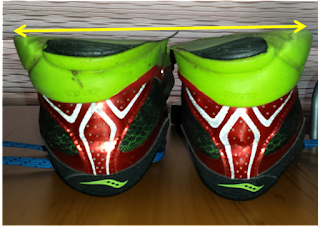 Although pronators are supposed to wear stability trainers, I've always felt comfortable running in neutral shoes, especially the minimal variety, That explains my love for the Kinvaras and my appreciation of the Saucony Virratas that I recently replaced with the Kinvara 5s. The article I read showed wear patterns and connected them to different types of strides: pronator, over-pronator, neutral and supinator. According to the illustrations, I'm a supinator, someone whose foot rolls outward on landing. 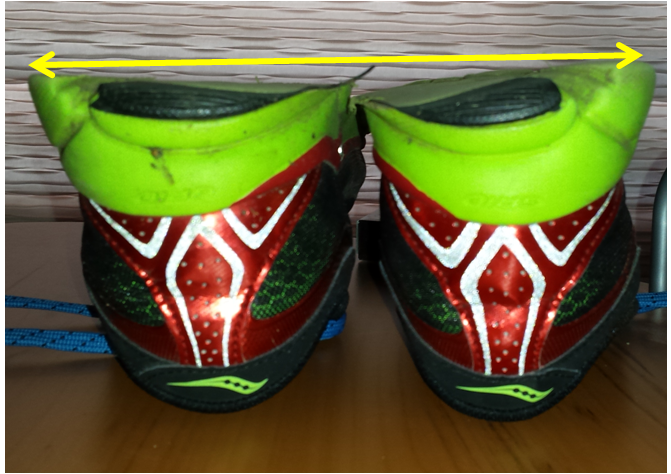 I looked at my Virratas, the shoes with the most outdoor mileage, and the wear pattern clearly shows that I do this. So now I'm confused. Stability shoes are built with a medial post or some type of multi-density material in the mid-sole to neutralize inward rolling. I get that. What I don't get is when I look up "best shoes for supination" most results point to stability shoes. But since it's the opposite problem, wouldn't stability shoes amplify supination? While the running world works to figure that out, I'll stick with my minimal neutral models. The only downside to that is my preferred shoes use a fairly soft material on the out-sole that is apt to wear out from all my supinatin'. Still, I'd rather run in shoes that feel right, rather than ones that are made for people who supinate. So far, that seems to be the right approach.